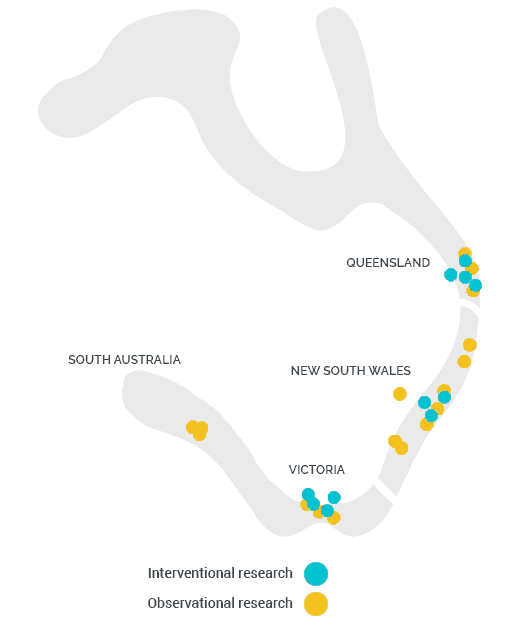 AusTrials has a network of primary care centres across Australia where, performing the function of a site management organisation (SMO), we have established the necessary infrastructure, human resources and facilities to conduct research within these centres. Centralised Coordination. AusTrials coordinates all aspects of study feasibility, site selection, collection of ethics and regulatory documents, SIV and investigator training across all our sites. Ethics simplified. With many years’ experience in ethics applications for multisite applications, we manage the ethics approval process efficiently. General Practice setting. Conducting your research in the GP setting provides access to clinicians with suitable patient numbers. Quality research. We provide a coordinating Investigator review and rigorous quality oversight at all our sites. Project management of the on-site study coordinator resources, including KPI driven management and coaching, to deliver recruitment targets.